As an iHealthSpot client, you will receive a monthly Google Analytics report containing this information delivered right to your email! We will also provide you with a username and password so you can view your site’s Google Analytics 24/7. 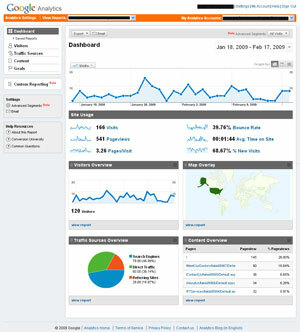 Once you login to your site analytics, you will see your dashboard. Here, you will get an overview of your site’s stats like: how many visits you have on a specific day, Site Usage, Visitors Overview, Traffic Sources Overview, Bounce Rate, etc. The Bounce Rate is the percentage of single-page visits or visits in which the person left your site from the entrance(landing)page. 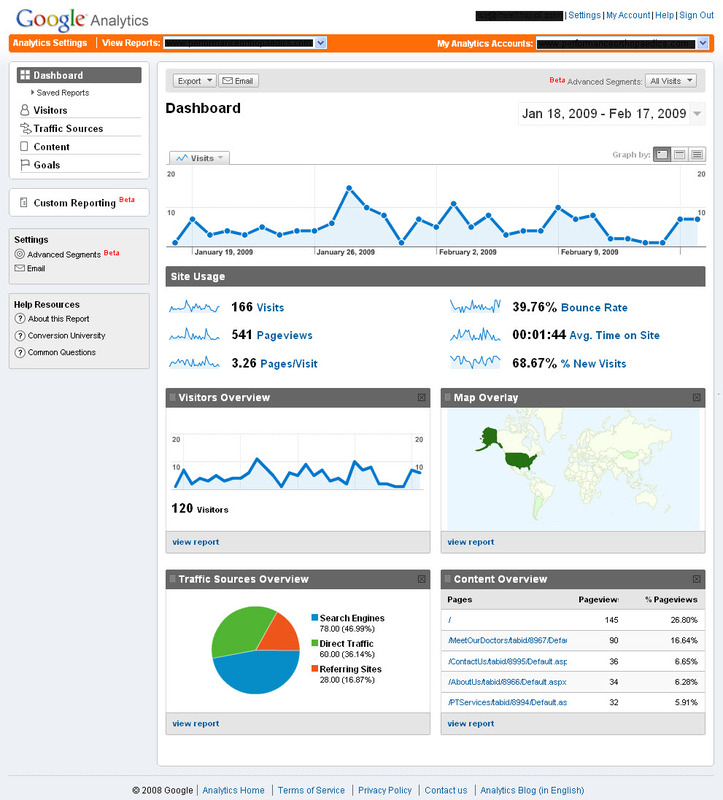 In the Site Usage section, you can find how many visits you have so far, total number page views, etc. Also, you will find average time spent on your site and your new visits.